Use insect repellent that contains DEET (diethyl-meta-toluamide) or icaridin. 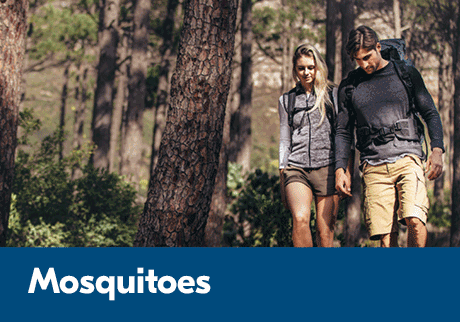 When purchasing insect repellent, check the quantity of DEET or icaridin it contains. The protection provided by products that contain 20% icaridine is equivalent to products containing from 28 to 30% DEET. If you took antimalarials, you need to continue taking them as prescribed. Some types of antimalarials need to be taken for several days or weeks after you return home. Even if you are taking animalarial drugs, personal protective measures are still recommended. No medication is 100% effective. The information provided is for personal use, reference and education only and is not intended to be a substitute for a Physician’s advice, diagnosis or treatment. Please consult your healthcare professional for specific information on personal health matters.